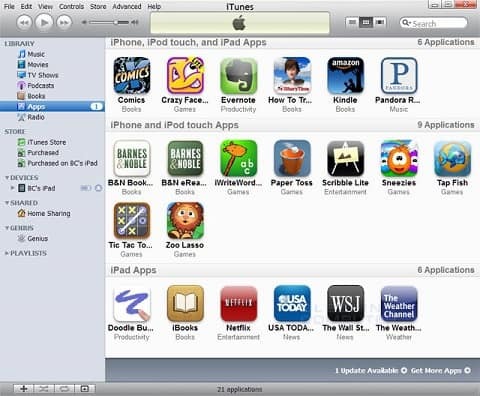 Whenever you sync your iOS device with iTunes on your computer, apps that you have previously deleted may get installed once again. This is due to the inconsistencies detected during the syncing and Apple has not provided us with an easy way of preventing this behavior. Instead, users will have to disable a few settings in order to prevent apps from being reinstalled when syncing with iTunes. Our first stop takes us to the iOS device itself where users will need to enter the Settings menu in order to find and disabling the offending items. 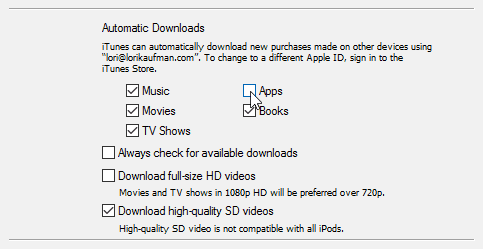 Once you open the Settings, head over to the “App and iTunes Stores” menu and look for the Automatic Downloads group. Turn the toggle off for “Apps” and optionally for the rest of the items in the group if you do not want to automatically download music, books and updates as well. While we only needed a single setting in iOS, there are two different options you have to disable on iTunes. The first thing you want to disable is “Automatic Downloads” which is more or less the same thing we did in iOS. To find the setting, click on the Edit button and select “Preferences”. You should be taken to the “General” tab by default so click on the “Store” tab to continue. Remove the check from the “Apps” box and click on OK to save your new setting. For the final step you will need to connect your iOS device to your computer. Once you have done that, click on the device’s icon in iTunes on the toolbar. A new panel should open on the left side that has information about your device along with several items under the “Settings” heading. Click on the “Apps” item, scroll down to the very bottom of the list and remove the check from the box that reads “Automatically install new (iOS) apps”. Though this will definitely interest users who constantly connect their devices to iTunes, there are some disadvantages to this whole affair. For instance, you need to disable all three settings, otherwise apps will continue to be reinstalled in your iOS device every time you sync with iTunes. With these settings disabled, any apps you add from iTunes or from the App Store in your computer will not be synced anymore. I understand that this is unfortunate for users that like the convenience of grabbing apps without using their phones but this is the only way.